Bateman, Kate (Mrs. Crowe) (1842-01917): Her greatest triumph was in Leah in Augustine Daly’s Leah the Foresaken (1863). The critics panned the play, but it remained popular. 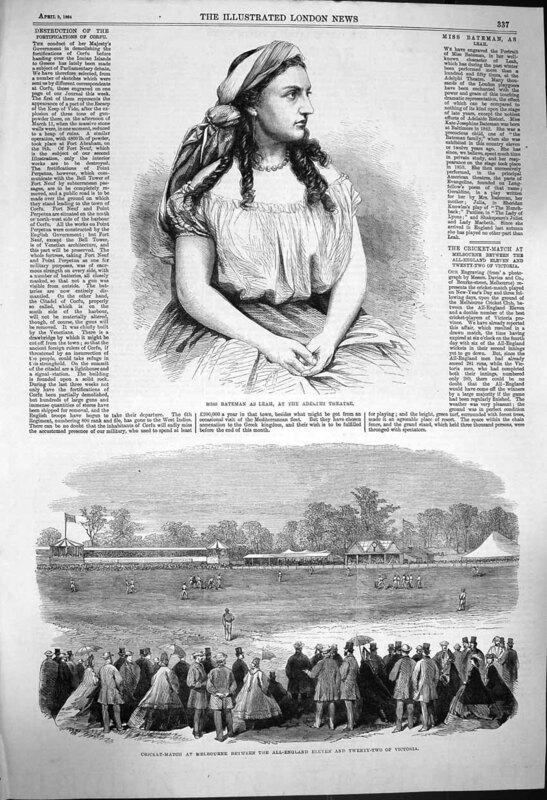 Miss Bateman acted the role in Boston, New York and at the Adelphi in1863, where it was a smash hit and ran for 211 performances. We have engraved the portrait of Miss Bateman in her well-known character of Leah, which has during the past winter been performed more than a hundred and fifty times at the Adelphi Theatre. Many thousands of the London playgoers have been enchanted with the power and grace of this touching dramatic representation, the effect of which can be compared to nothing of its kind upon the stage of late years, except the noblest efforts of Adelaide Ristori. Miss Kate Josephine Bateman was born in Baltimore in 1842. She was a precocious child, one of "the Bateman family," when she was exhibited in this country eleven or twelve years ago. She has since, we believe, spent much time in private study, and her reappearance on the stage took place in 1859. 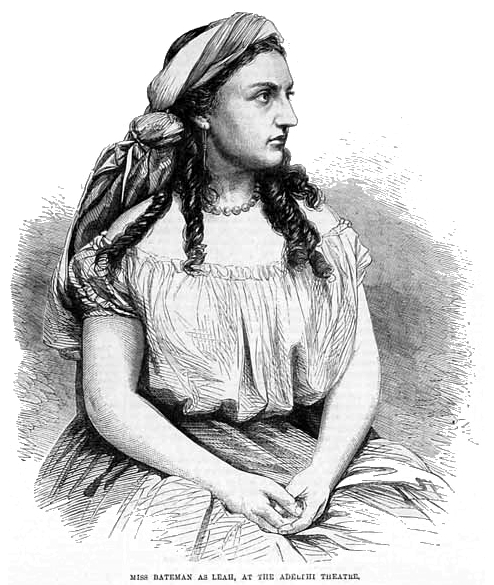 She then successively performed, in the principal American theatres, the parts of Evangeline, founded on Longfellow's poem of that name; Geraldine, in a play written for her by Mrs. Bateman, her mother; Julia, in Sheridan Knowles's play of "The Hunchback;" Pauline in "The Lady of Lyons" and Shakspeare’s [sic] Juliet and Lady Macbeth. Since she arrived in England last autumn she has played no other part than Leah.